Sports analytics isn’t a completely new phenomenon. While there were no Opta statistics available back in the 1950s, former RAF Wing Commander Charles Reep’s rather simplistic interpretation of paper-based information was the foundation of ‘route one’ long-ball football tactics. However, recent years have seen an explosion in data and performance analysis across all sports. Virtually every professional team or athlete will channel the ‘Internet of Things’ (IoT) and connected devices to process data in real-time to optimise training regimes, recruit new players, reduce injuries, or even enhance the fan experience. Many semi-pro and amateur teams will do likewise. Players at all levels now wear Electronic Performance and Tracking System (EPTS) devices incorporating technologies such as GPS, magnetometers, gyroscopes and accelerometers. Some systems can measure 1,000+ data points per second, recording speed, power, body temperature, heart-rate, distance covered and other key performance stats. However, all this data is worthless without the accompanying analysis. A safe, secure storage and processing point is essential. In 21st century sport where so-called ‘stats gurus’ play an increasingly influential role, choosing the right data centre infrastructure and critical power protection provided by a reliable uninterruptible power supply (UPS) unit are almost as important to a team’s success as the decision to sign a new superstar-striker or appoint an all-powerful manager/head coach. The use of connected devices and data analytics has become second-nature across virtually every sport. For years, cricket has employed ball-tracking sensors and thermal imaging technology to assist umpires to make tough on-field decisions. ‘Hawkeye’, ‘Snicko’, and ‘Hotspot’ are terms well-known to fans throughout the game. Scorecards that in decades past were painstakingly filled out by hand are now inputted into vast computerised databases, with archived records of every aspect of play from thousands of matches available at the click of a button. More recent developments include a small sensor attached to a bat handle which gathers data on backlift, bat speed, and impact angles, and drones fitted with infrared cameras to provide real-time pitch reports TV broadcasters can relay to watching fans. It’s a similar story in golf, where swing sensors, ‘virtual caddies’, and laser-based range finders are used by the game’s elite and amateur players alike. Coaching tools such as TrackMan use HD cameras and microwave transmissions reflecting from a moving golf club and ball. Players get to analyse their swing and performance data instantly on a tablet screen or their smartphone. In football, most of the choices now made by clubs and managers involve some element of cloud-based data analysis. Whereas in days gone by, players recruitment would involve networks of scouts travelling the world to try and unearth the next hidden gem, the multi-million-pound stars of today are first found on cloud-based data platforms such as Prozone. In 2012, Arsenal even bought the American analytics firm StatDNA to give them a supposed in-house expertise advantage – although the Gunners’ subsequent results on the pitch have been decidedly patchy, to say the least. Pitch-side data analysts collect details of 2,000 or so ‘events’. A typical 90-minute match can produce around 1.5 million data sets, an incredible volume of valuable information. This growing goldmine of stats feeds into opposition analysis and tactical gameplans, both pre-match and during the action. It’s a similar story with wearables and EPTS trackers. Sensors measure more than a thousand data points per second. Combine predictive analytics and machine learning with the expertise of physiotherapy and fitness coaches, and what do you get? Modern players receiving personalised training schedules that tailor their workloads and dramatically reduce the risk of injury. Both codes of rugby make similar use of statistics and performance analysis. But use of big data in the oval-ball game has also thrown up a key ethical question – who actually owns the ‘data’? Two senior international players are believed to have sought legal advice over how their performance information and injury records are being used. Are their clubs or international boards sharing it with other teams, or even selling it to third-parties? Such a scenario could negatively impact on a player’s career. For example, if it becomes well-known that a performer is prone to concussion or has deteriorating recovery stats, they may lose out on lucrative future contracts or endorsement deals. Similar security questions are being asked in the United States. Last year the official player association for American Football’s NFL signed a five-year agreement with WHOOP, a wearable also used in basketball’s NBA and baseball’s MLB. The device tracks criteria such as how much sleep a player gets and what their recovery rate is post-workout. Part of the deal gives NFL players the right, if they wish, to sell their own data to organisations such as video game manufacturers, fantasy sports leagues, and betting companies. This leads us onto other sports-related areas where there’s growing demand for big data. And it’s not out on the field, the pitch, or the race track. Sports analytics has a massive influence on both the gambling and fantasy sports industries. Social media traffic feeds into club and broadcaster marketing campaigns designed to boost the overall supporter experience. And virtual reality is increasingly being used to bring fans closer to the action – only last month a 14-year-old Everton fan became football’s first ‘remote’ match-day mascot thanks to an AI robot manufactured in Norway. While at first glance professional sport may appear completely different to smart manufacturing or the healthcare sector, it faces many of the same issues these industries face as they attempt to capitalise on the benefits of big data and the Internet of Things. 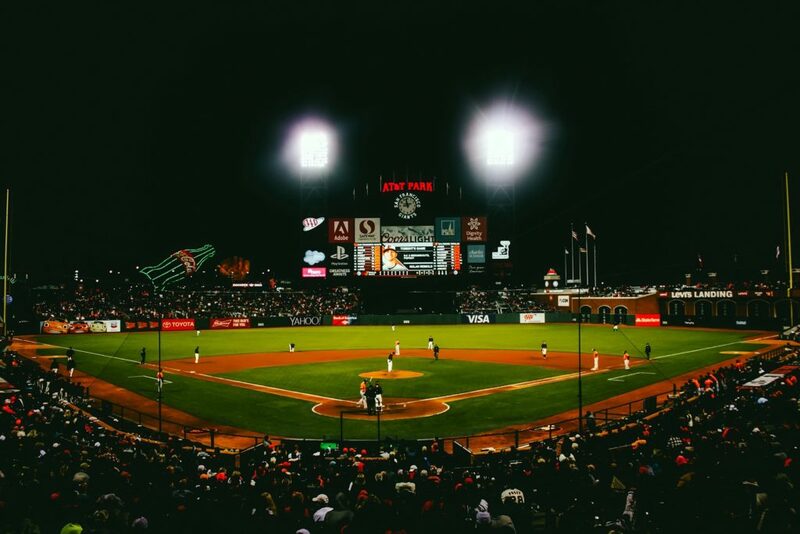 Fully exploiting the potential of data requires vast amounts of storage, power, and processing capacity, particularly to provide the real-time analysis necessary for many sporting environments. And with sport being such a competitive industry, system security and data protection is paramount. One of the biggest fears a team has is their precious data getting into the wrong hands, providing an unwanted boost to upcoming opponents. The IT systems used need to have the necessary encryption, firewalls, and secure connection to minimise the threat of data loss. A robust and reliable UPS unit is also essential to provide ongoing critical power protection – with teams needing instant access to data, any disruption to the electrical supply could prove costly. For most clubs or teams, the logical solution is to work alongside a suitable technology partner. This reduces the need to build their own systems and infrastructure, saving time and money, while it also promotes data security. In addition, utilising cloud-based storage and processing makes sense for many sports organisations. The advantages of the cloud (reduced cost and infrastructure requirements) are obvious. It also offers flexibility, giving teams the control to scale up or down depending on their capacity needs i.e. a team would likely require less storage during the off-season when players aren’t in full training. Portuguese football club Benfica is one of the teams spearheading innovation in sports analytics. The Lisbon-based giant is renowned for its smart, data-led transfer policy. In recent seasons it has raised millions of pounds in fees from identifying relative unknowns at the time such as Jan Oblak, David Luiz, and Nemanja Matic, before developing and selling them on for sizeable fees. The team now partners with Microsoft Azure after the software giant ‘headhunted’ them in a concerted push to capitalise on the growing market for cloud provision in professional sports. For some sports and clubs, cloud-based provision on its own won’t be enough. The need for instantaneous analysis means that for some teams, edge computing and managing their own data centres might become necessary. Or it might transpire a hybrid structure may be more effective, where teams take advantage of cloud-based data processing capabilities even with data that is hosted on-site or in data centres. Unsurprisingly one of the arenas most associated with big data is the high-tech world of motorsport. Formula One cars have as many as 200 separate sensors tracking everything from tyre temperatures and engine revs per minute, through to G-forces and the driver’s heartbeat. Over the course of a race weekend, a team’s two cars can produce upwards of 35 billion data points. In a high-pressure, multi-billion pound industry where every millisecond counts, the pressure for real-time data analysis is intense. Most F1 teams will use a hybrid set-up, with a micro, modular data centre that is transported to each of the 20 global circuits backed up by centralised facilities back at the team factory, plus additional cloud storage as and when required. While each team has around 1,000 total employees, only 100 can be trackside at each race. Pitlane internet connections of around 80 Mbps enable telemetry to be quickly exchanged and analysed between the circuit and the factory, with on and off-site engineers working together on in-race strategy. During the course of a Grand Prix, it’s estimated that more than 400 GB of data is transferred between the track and team HQ. The high-tech cars are linked wirelessly back to the pits over a 2 Mbps connection, while additional data is stored on its engine control unit, but only accessible once a race is over. The Formula One calendar also throws up another data challenge. This year’s championship covers 21 races spanning circuits from Australia and Abu Dhabi, through to Mexico and Continental Europe. Not only do the cars, components, and competitors need to clock up the air-miles, so too do the modular data centres. The server racks and UPS systems are shipped or flown to each event, travelling thousands of miles over the course of a season. At the end of the day – to use a well-worn sporting cliché – data and analytics in professional sports isn’t a magic bullet. All the statistics, analysis, and intelligence in the world can be overridden by simple human error, or a moment of sporting genius from superstars such as Lionel Messi and Cristiano Ronaldo. But harnessing the power of big data can give teams and athletes at all levels a crucial edge in an arena where even seemingly minuscule gains often make all the difference. However, to fully reap these rewards an organisation needs as reliable data storage and critical power protection systems in place as it requires the elite performers who score the goals, make the big putts, win the big races, or claim the coveted championships. Two years on from WannaCry, are NHS trusts just as vulnerable?